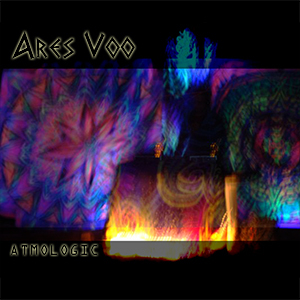 Atmologic is the debut release from Ares Voo (Aris Voultsos), an electronic music producer and DJ from Thessaloniki, Greece. Here he demonstrates a modern fusion of psychedelic chill out and atmospheric psybreaks music, combining ambient moods with progressive synth-work to tell new stories through sound. Mastered by Tasos Papalias. MP3 Download | FLAC Download | WAV Download · Download count: 5,696. Wow I used that album cover as my FB cover some years ago. I was surprised to see it here because I thought it was just a random image lol Anyone has any info about this cover? Apparently an edited photo of something that looks like a DJ booth, possibly? I don’t know. Doesn’t really please my eye, music is kinda cool, though. :-D this a great sound !!! Me agaph …sinexiste tin omorfh douleia !! !